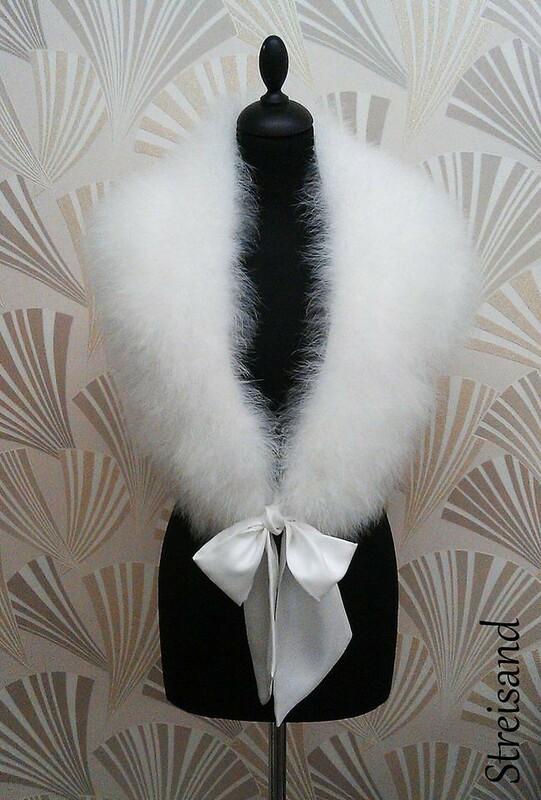 The Striesand wrap is made of gorgeous marabou feather and fabulous detachable wide satin ties. Pure indulgence for the Bride or Mother of the Bride, the timeless Striesland wrap will just complete your wedding outfit. Whether you are looking for modern glamour or vintage inspiration, the Striesland marabou feather wrap is just what you are looking for.